An east London distillery has released the area’s first whisky in over 100 years with the launch of its new London Rye. 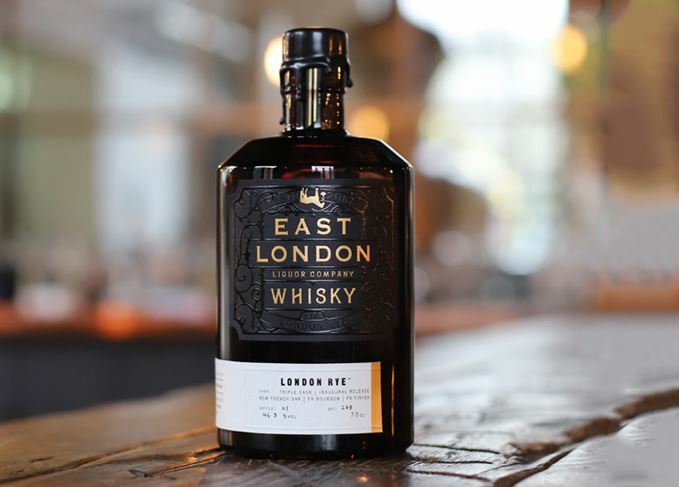 East London Liquor Company (ELLC), whose distillery opened in Bow Wharf in 2014, has released a small batch of London Rye described as an ‘altogether different whisky’. Distilled in pot and column stills from a mash of 42% rye and 58% extra pale malted barley, the whisky has been matured initially in 30- and 60-litre new French oak casks for one year, followed by two years in ex-Bourbon and one moth in an ex-PX Sherry cask. Bottled at 46.8% abv, the expression is described as tasting of ‘dark chocolate, ripe cherry, stewed apple, tahini, hay and sea salt alongside notes of light tar and a hint of smoke’. Its release follows the launch of The London Distillery Company’s (TLDC) own Rye Whiskey LV-1767 Edition in October. At the time, the Battersea-based distillery claimed its four-year-old, 100% rye bottling was the first London whisky released since the closure of Lea Valley distillery in 1904. Meanwhile, Bimber distillery in North Acton is gearing up to release its first London single malt in 2019, when its spirit will reach the minimum three years old required by law. Andy Mooney, whisky distiller at ELLC, said: ‘The great thing about producing our whisky in London is that we have a clean slate to be creative. Just 269 70cl bottles of ELLC London Rye will be available in small quantities from the distillery shops at Bow Wharf and Borough Market from noon on Saturday, 1 December. Additionally, it will also be available to sample in select bars across London. Alex Wolpert, founder of ELLC, said: ‘We’re incredibly proud to invite everyone to join us in toasting a piece of London’s distilling history. ELLC opened its distillery in 2014, expanding the operation three years later with a new whisky still and ‘brew kit’. In May this year, the company raised £1.5m in funding through Crowdcube, enabling it to quadruple its whisky production capacity. ELLC now plans to experiment with mashing and distilling various grains to make its whisky, and mature in a range of casks including chestnut, mulberry, acacia, ex-wine and ex-vermouth. The distillery also produces a range of spirits including a London dry gin and British wheat vodka. Rye whisky is no longer a North American specialty, but a worldwide phenomenon.